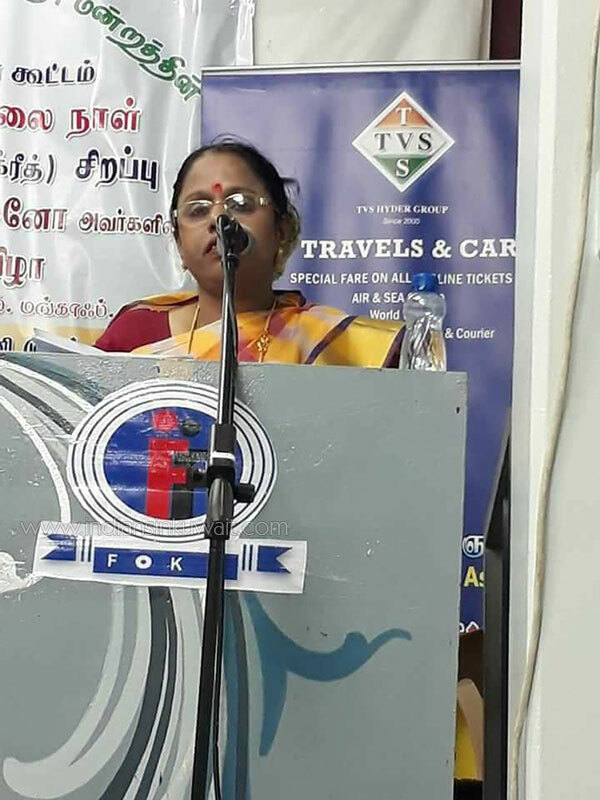 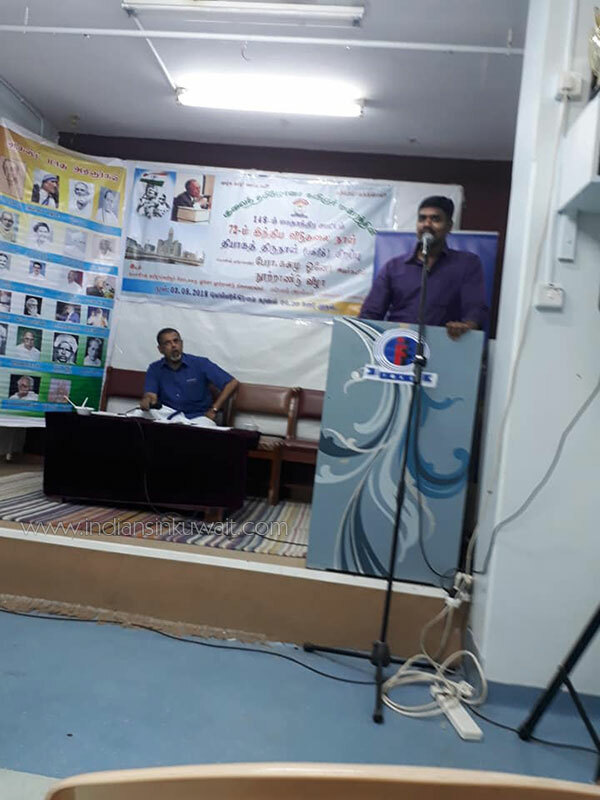 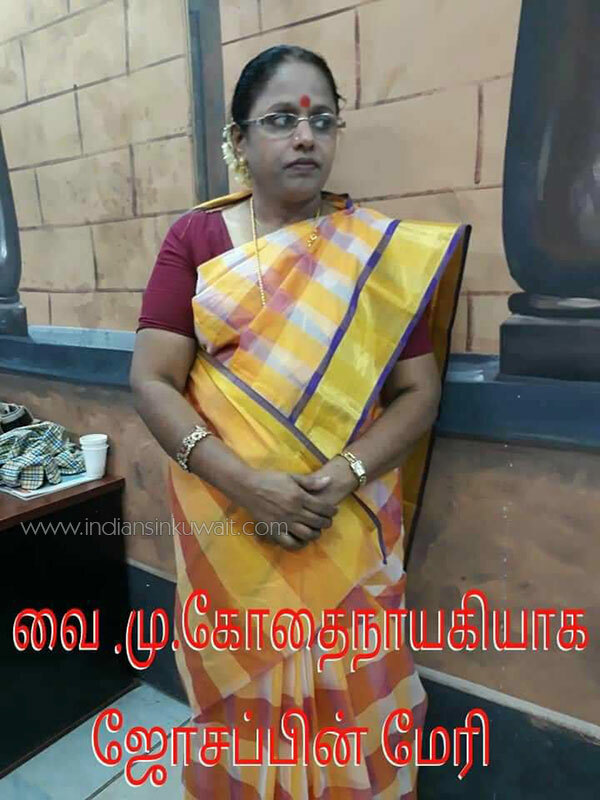 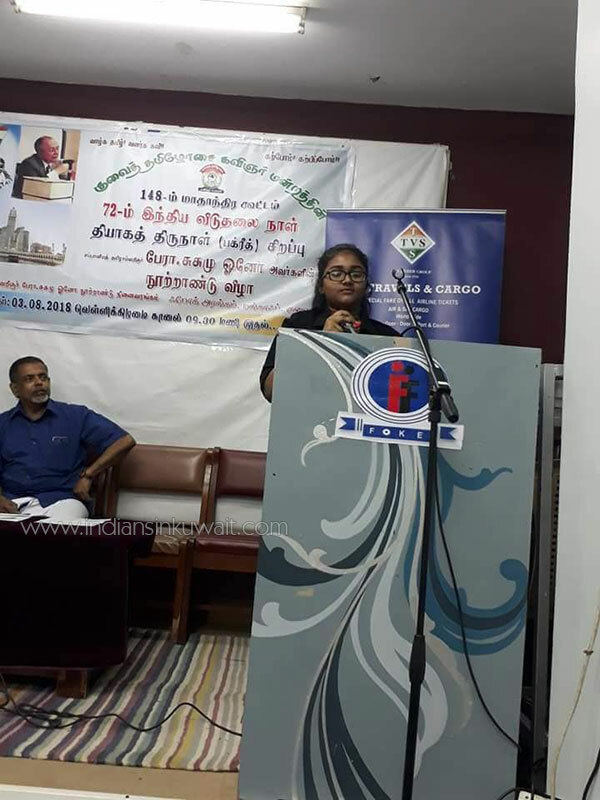 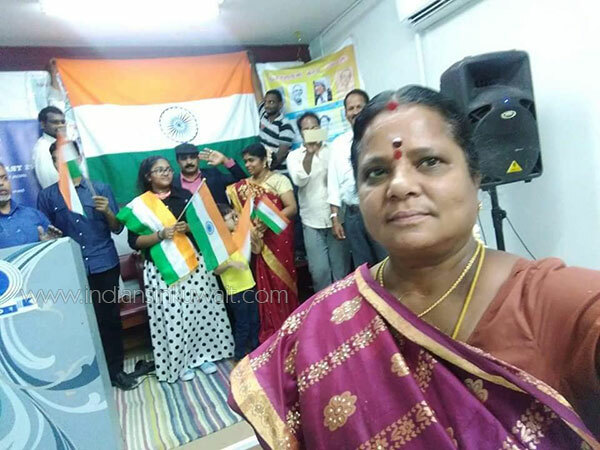 Kuwait Tamilosai Poets Association (KTPA) convened their 148th monthly literary meet to celebrate 72nd Indian Independance Day on the first Friday of August-‘18 at The Japanese Tamil Research Scholar Prof.Susumu Ono Centenary Memorial Hall (Foke Auditorium, Mangaf, Kuwait.The Function began with the recitation of Tamil Anthem at 10 am. 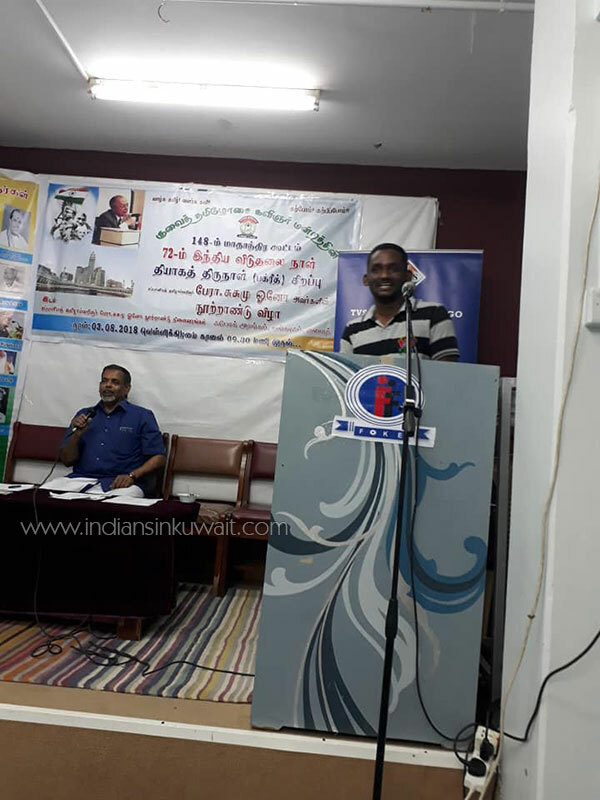 KTPA’s Custodian Committee Member-Senior Poet Mr.Vittukatti Masthan presided over the meet . 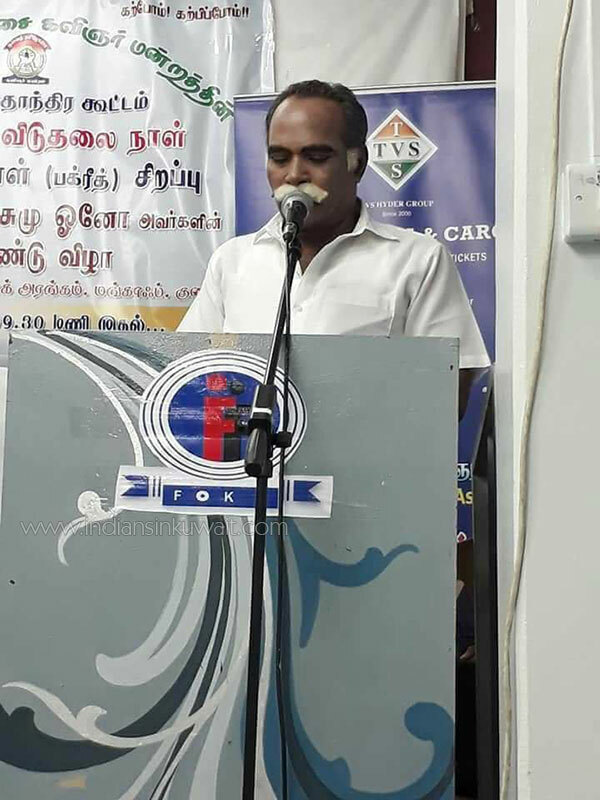 President Mr.Robert delivered the welcome address for the gathering followed by the theme song of the Association. 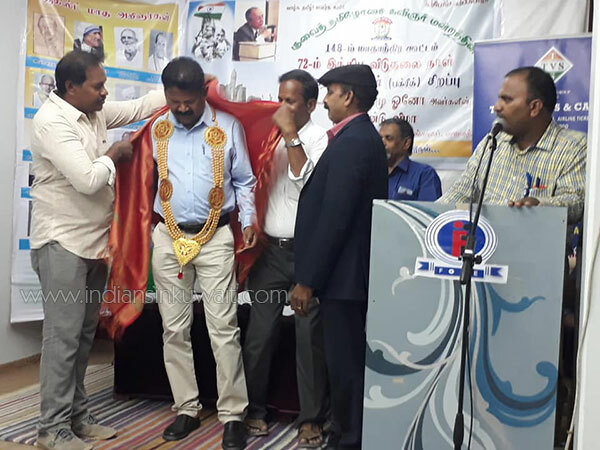 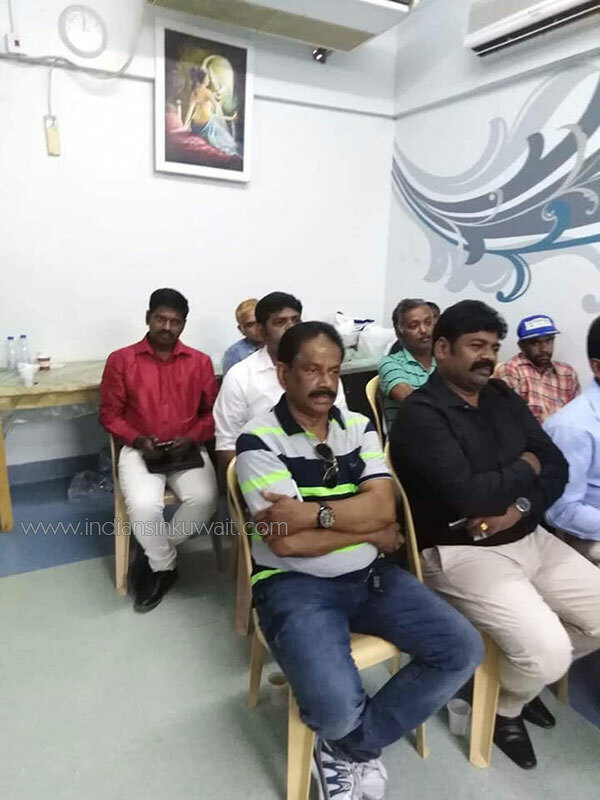 Mr.Venkata Mathi, Manager of TVS Travels & Cargo Group as well as the Secretary of Indian Frontliners Association-Kuwait, graced the occasion as the Chief Guest of Honor in the meet. 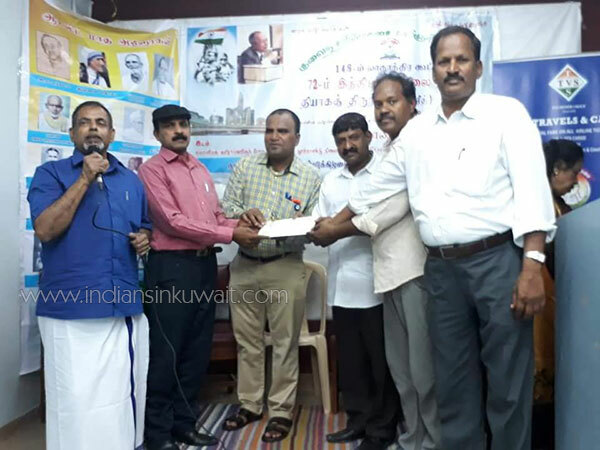 He was felicitated by the KTPA team for his tireless social services rendered to the Indian Community residing in Kuwait ,in co-ordination with the Indian Embassy. 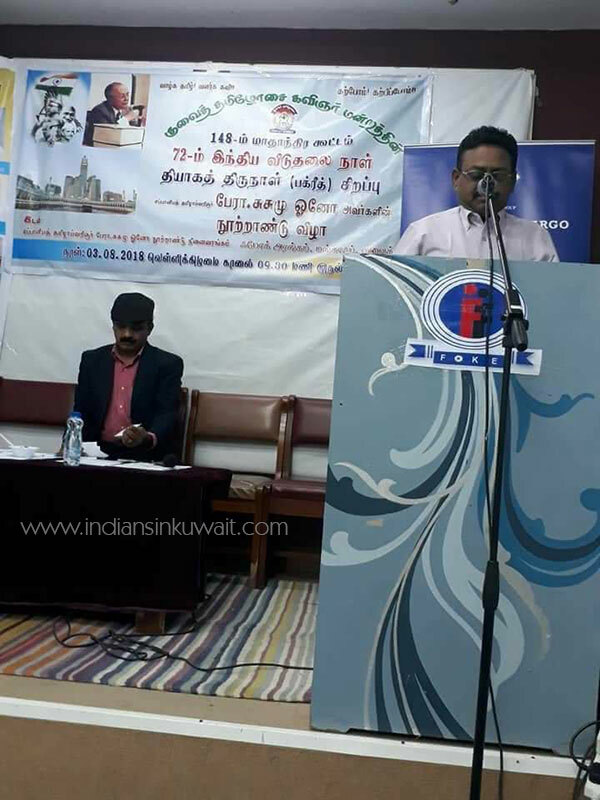 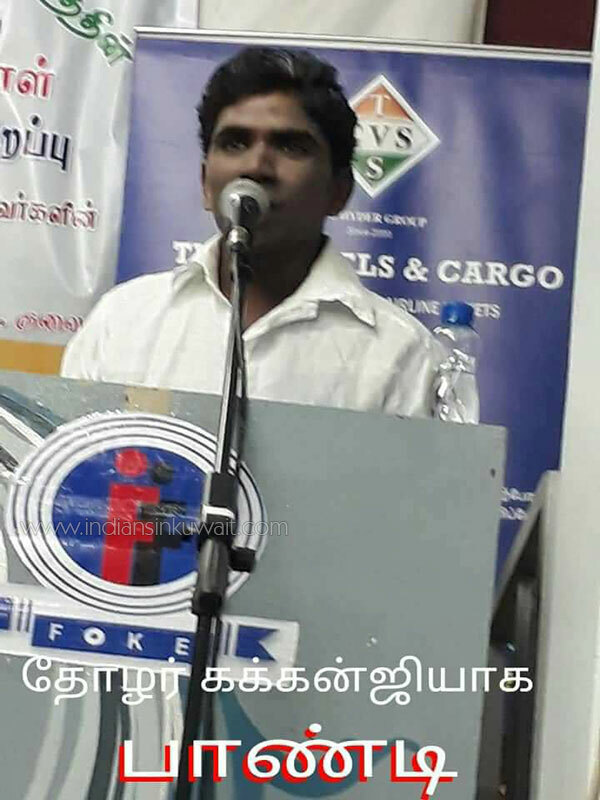 Mr.Mathi Praised KTPA’s perpetual efforts to sustain Tamil Arts & Literature in Kuwait,in his thanking address. 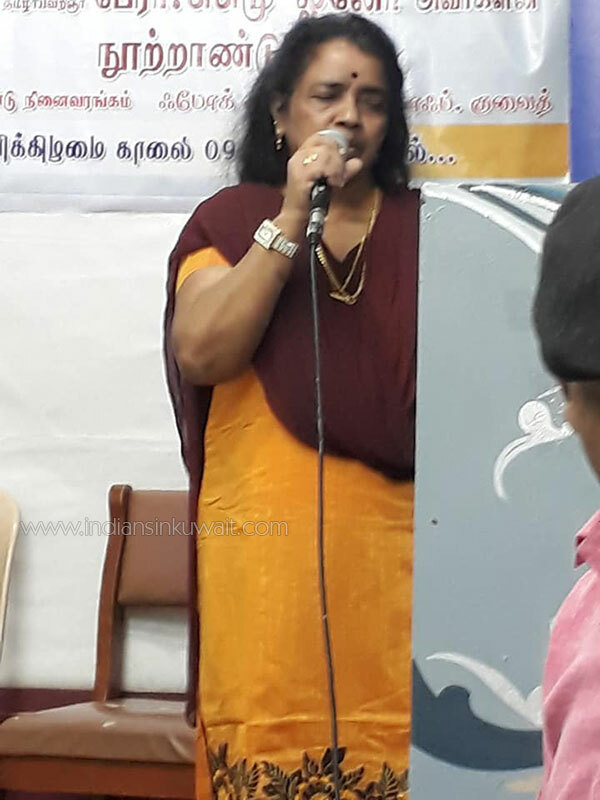 Members presented mind provoking poems and singers offered enthralling songs in diverse categories. 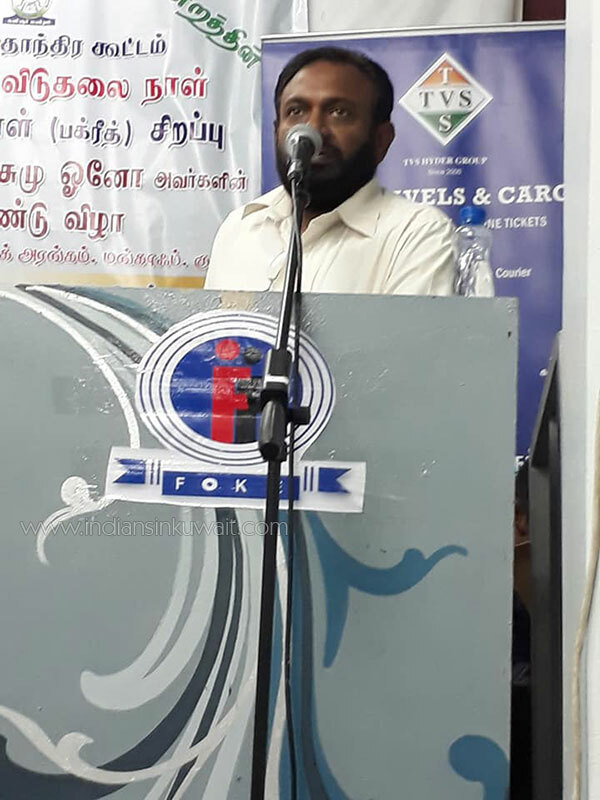 EC member Mr.Vetriyoor Makizhan delivered an awesome note on the Islamic Festival“EID-AL-ADHA”, the Communal Harmony and greeted all with well wishes. 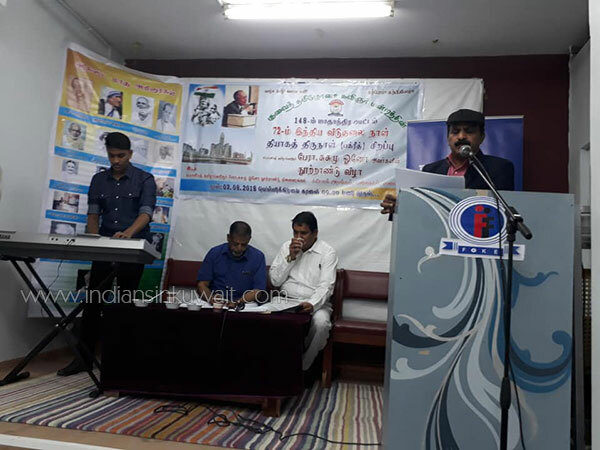 Mr.Aaroor Vasu Ramanathan amazingly explained about the life and works of the Veteran Scholar of Tamil Music –Late.Tanjai.Abraham Pandithar with a special note on his valuable contribution. 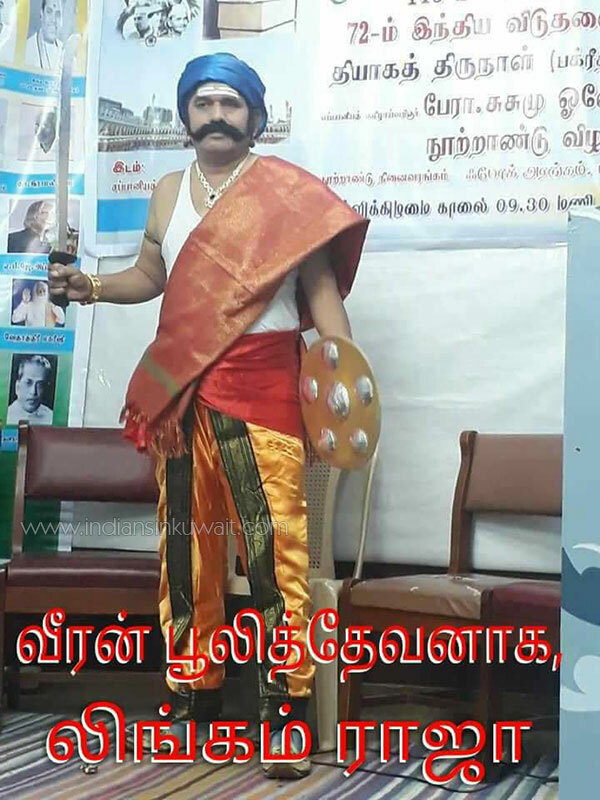 A parade of school students was organized by Mr.Robert to mark the celebration of 72nd Indian Independence Day. 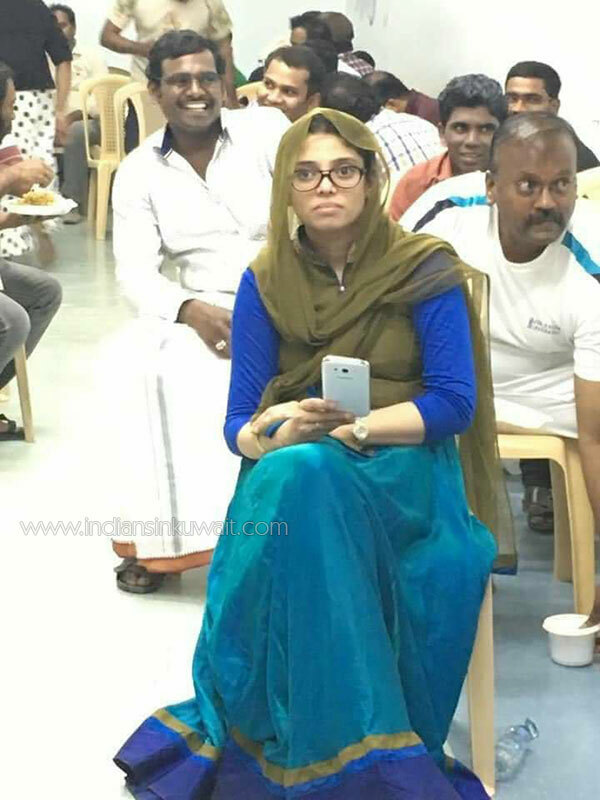 Sweets were distributed with Joy. 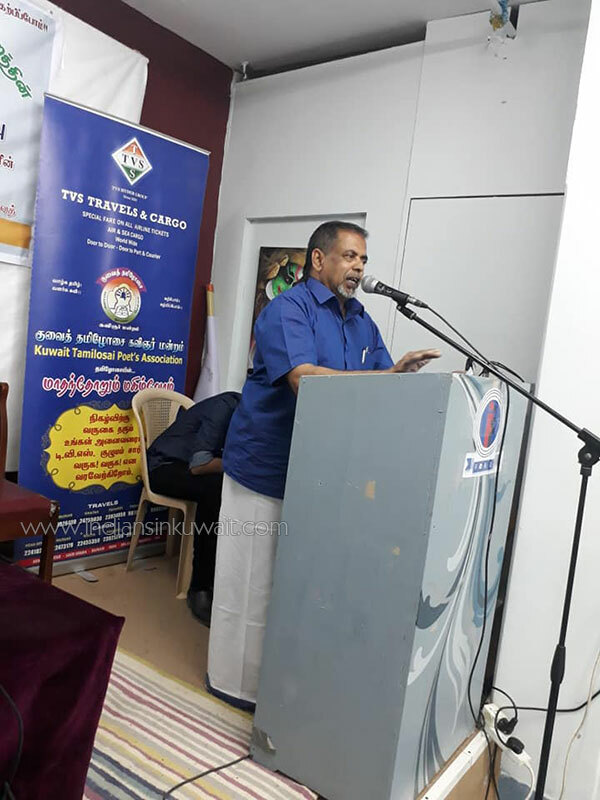 KTPA’s Honorary President –Poet S.Sadhik Batcha Presented a thoughtful special address on the ill effects of Nuclear Weapons with an emphasis of case study on the Japanese Cities- Hiroshima and Nagasaki,which were victimized with atom bombs during world war-II. 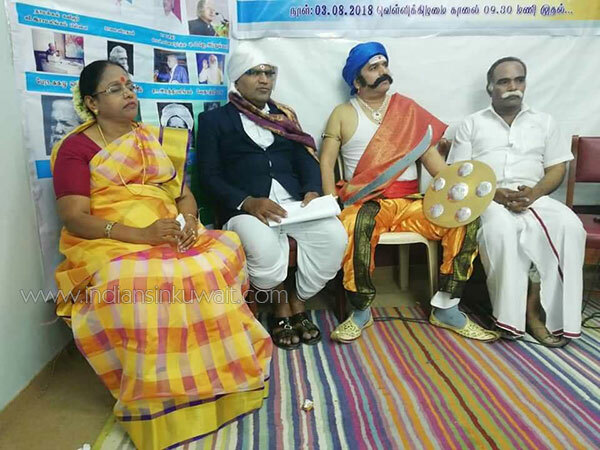 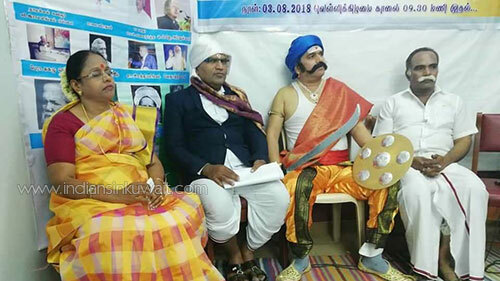 An awesome court of poetry of fantasy in fancy dress enacted as Indian freedom fighters, during the meet, turned out to be the highlight of the function. 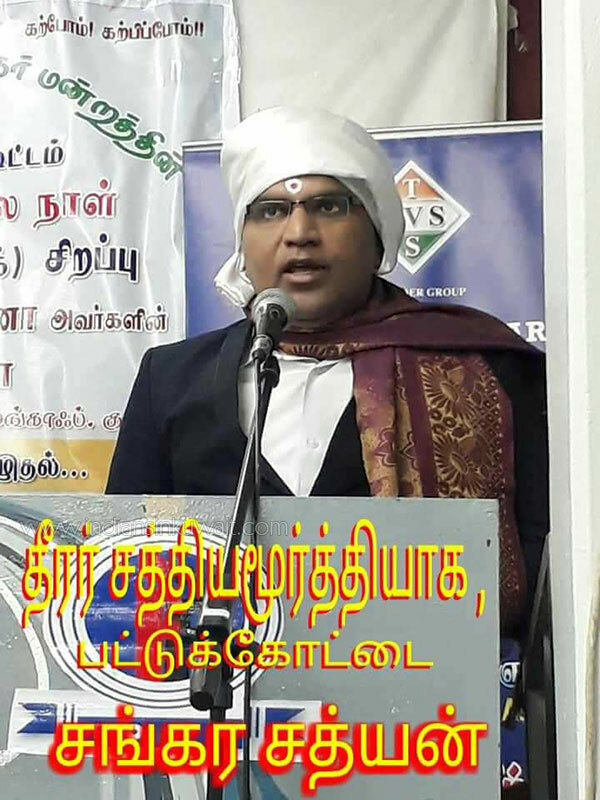 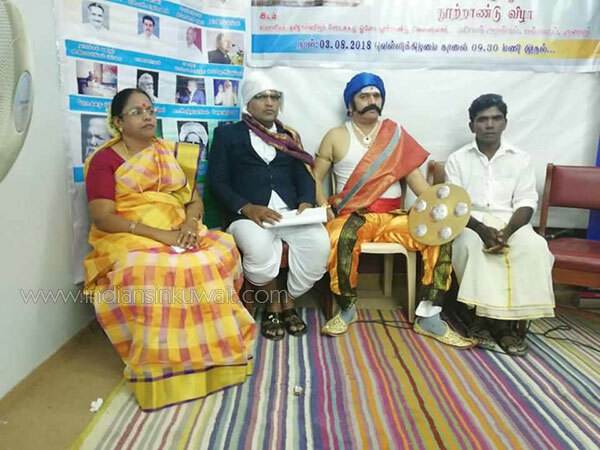 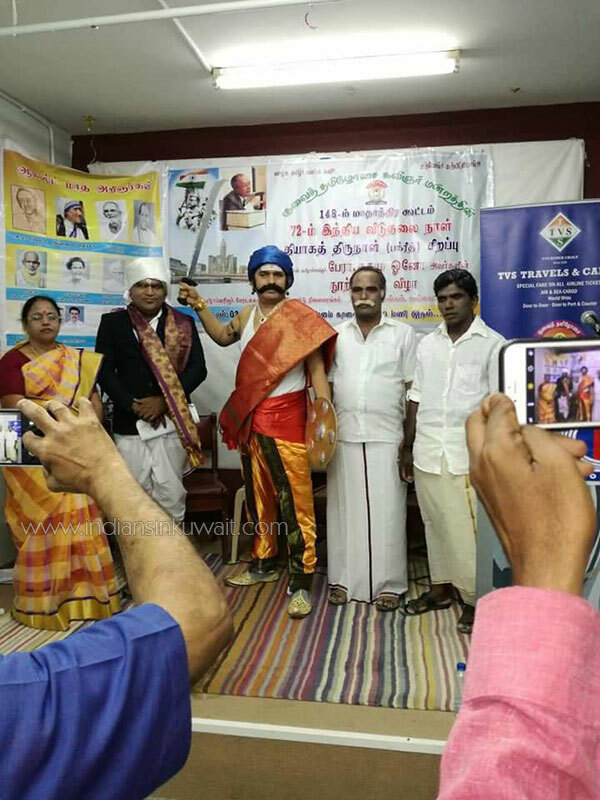 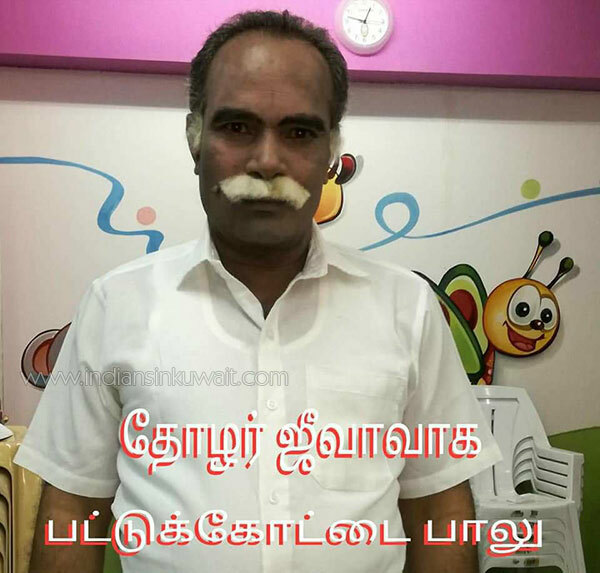 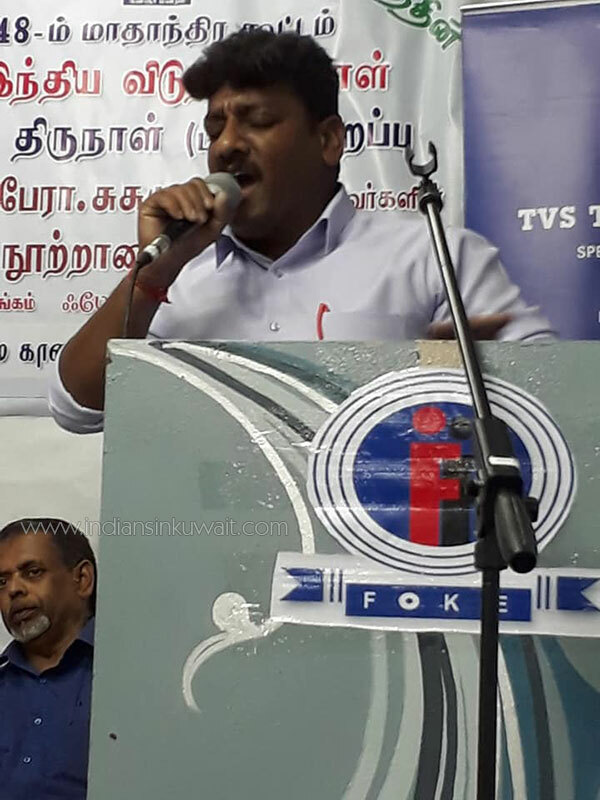 Poems emanated from the KTPA’s Deputy Secretary Mr.Mannai Raja disguised as “Puliththevan- an Indian Tamil insurgent king” led the court as Herald, with the General Secretary Mr.Pattukkottai Sathyan as “Dheerar Satyamoorthi”,Poet Pattukkottai Balu as “Comrade Jeeva”, Folk singer Mr.Pandi as “Martyr Kakkanji” and Mrs.Josephine Mary as “The Writer V.M.Kothai Nayaki”, won the hearts of the audience. 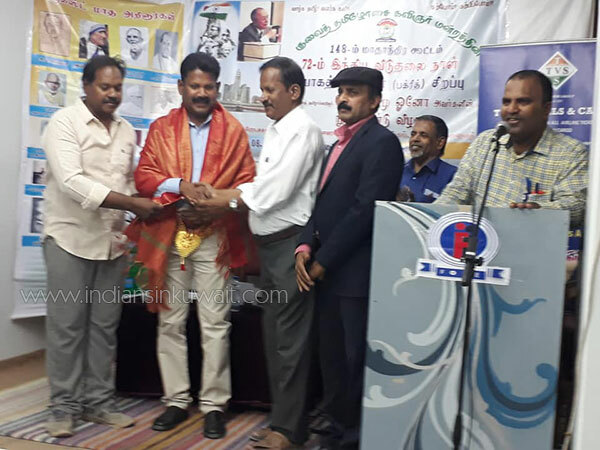 A number of Businessmen and Representatives of Fellow Associations graced the function. 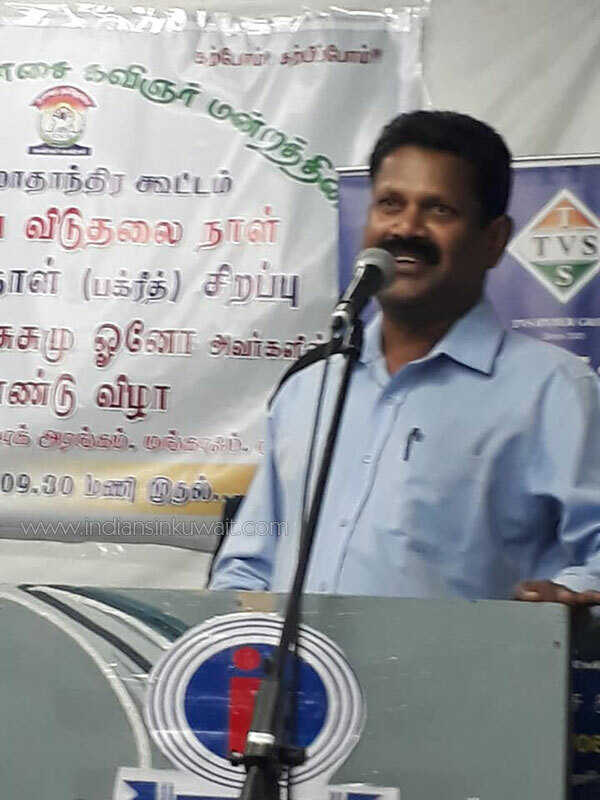 Senior EC member Mr.Chatramanai Hasan Mohammed delivered the vote of thanks. 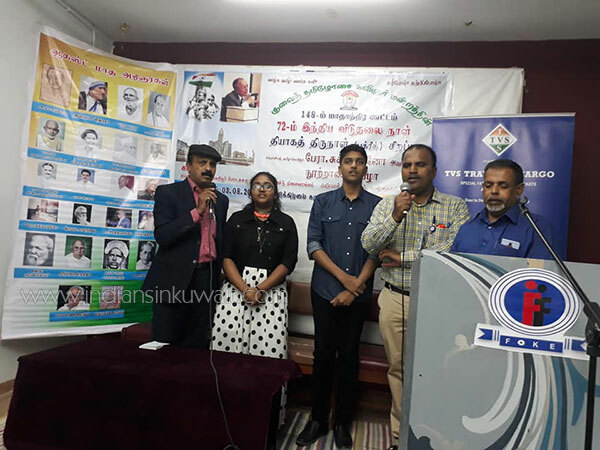 Custodian Committee members-Poets U.K.Sivakumar,Vittukatti Masthan,Deputy Secretary Mr.Mannai Raja,Mr.Ashok and Poet Yaqoob Ali effectively accomplished all the arrangements for the Program.The Function concluded with a delicious lunch served to all by 2:30 pm.